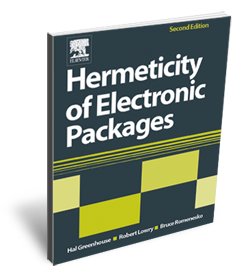 Robert Lowry collaborated with Hal Greenhouse, the principal author of "Hermeticity of Electronic Packages", to author Chapter 11 "Residual Gas Analysis (RGA) and Failure Modes" for the 2nd edition of this classic book. It is an essential resource for anyone doing rigorous studies or analysis of leak behavior and moisture control of sealed electronic enclosures. 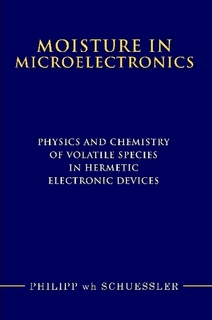 Philipp Schuessler has compiled this book on Moisture in Microelectronics. The book is another essential resource for these seeking to understand the sources of moisture in electronic assemblies and how to measure and control it. More Info.